Is there a way to find out on which of the listed partitions is my linux distribution installed on? I installed it with Wubi. Ubuntu is my distribution. I'm aware of a similar question here, but it doesn't seem to provide a concise answer. In a terminal, run the command df and look at the output. The column headed "Mounted On" will have a "/" against the partition that holds your root filesystem. This is where your system is installed. Your Ubuntu partition will be on the one which has / in the mount point column. Windows usually takes primary partitions so Ubuntu is not likely to be /dev/sda1 or /dev/sda2, but feel free to post a screenshot of what your GParted shows if you need more help. Ubuntu is usually installed on ext File Systems as shown as an example in my screenshot above. The non=NTFS partitions are where your ubuntu is. Since windows cannot deal with EXT4 file system, the above screen from windows is not useful to you to determine much about Ubuntu drives. Use GPARTED screen for that. I have a similar setup with ubuntu and windows dual boot. I have created two other partitions to store my backups. One has windows partition backup and one has ubuntu backup. I boot of ubuntu live CD and use FSARCHIVER to make a ubuntu backup. I use Ghost (old 2003) version to make a backup of windows partition. Ubuntu backup seems to take care of GRUB and it seems to take it from sda1. If the whole system conks out and now you can't boot, generally using system rescue CD, I am able to boot off the existing Ubuntu and then use Sudo update-grub to make grub and ubuntu functional again. Generally that brings back my windows booting ability too. Hope this helps. 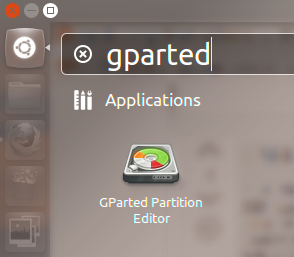 How to determine the partition on which Ubuntu is installed and resize it?